This unlined "odd even" neck strap has 13 new solid-brass "petal" bells. 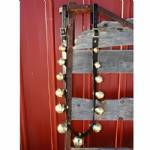 Unlike our other sleigh bell straps, there is just one bell of each size on the strap. The odd numbered bells are on one side of the strap and even numbered bells on the other. There is a large #13 bell or #15 bell in the center, depending on what set of bells you choose. Each end of the strap has a solid-brass buckle and a billet (tongue). When the billet is fastened onto its buckle, it forms a loop that you can slip over the hame arm on a draft (farm) style collar and hames. Click "See more images" to see larger photos of this strap. The last photo shows a similar strap fastened onto a draft style collar so you can see how this style of strap is used. We make the odd-even strap in two lengths -- a shorter strap for regular horses to medium draft horses and a longer one for medium to larger drafts. The shorter strap can be adjusted from 50 to 56 inches long. The longer strap can be adjusted from 58 to 64 inches long. It is a good idea to measure before ordering to pick the length that will best fit your particular collar and hames. 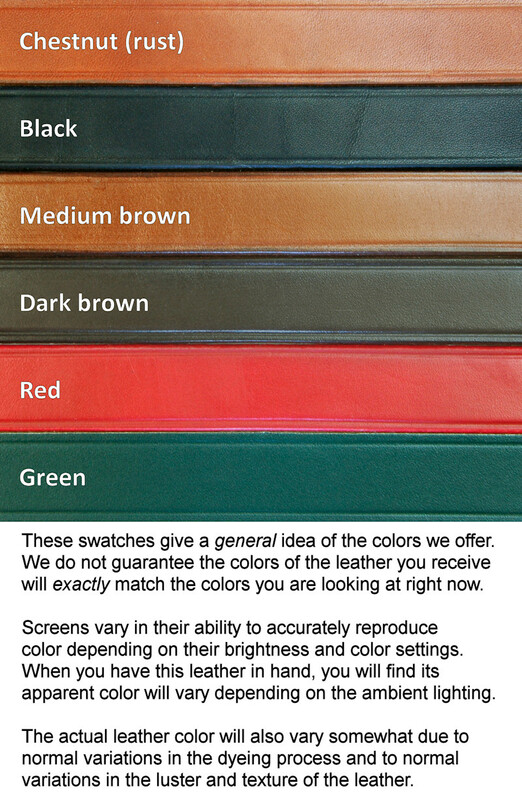 We make each sturdy bell strap from USA-tanned bridle leather in your choice of black, dark brown, or medium brown. View colors.... Please note the main bell strap is a single strap -- there is no second lining strap. It will have new solid-brass petal bells and buckles in your choice of gold or silver finish. More about our bells... We fasten the bells on the strap with solid-brass bell pins. These pins are large, sturdy, and properly designed to see decades of use on horses.